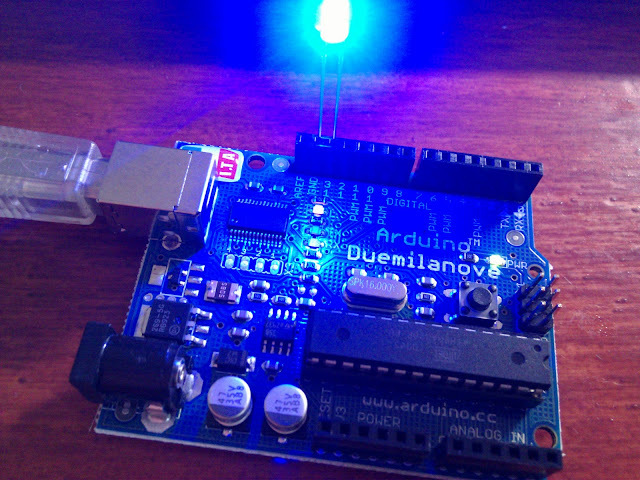 I got an Arduino which is a single-board microcontroller and a software suite for programming it. I will try to make some sensors/switches connected to the internet through the Arduino and control them from an android phone. At first, I made a development environment for the Arduino. This was really simple way for my PC (Win7 64bit). Connect the Arduino to PC with USB cable. Download zip file of IDE from an official web site. Choose your Serial Port in menu [Tools -> Serial Port].